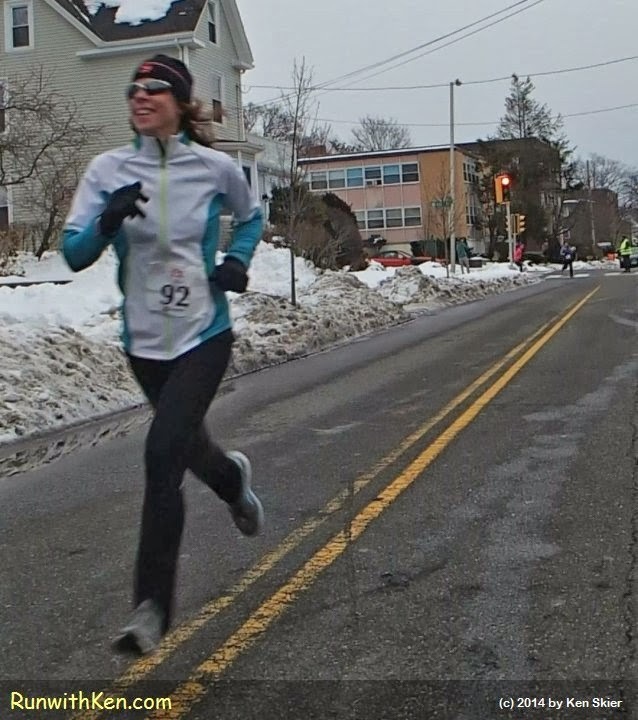 SLOW-MOTION HD Video: Here's a Happy Runner...FLOATING to the Finish Line at a Winter race! rocketing like a cruise missile! --and never glancing left or right. acknowledging every cheer with a wave and a smile. without her feet ever touching the street. she replied with a big wave and a smile.